Fitness Coach, nutrition/mindful eating aficionado, and Co-founder of Functional Effect Fitness and Rehabilitation, Sarah Fischer-Reynolds is passionate about helping people live healthier, more fulfilling lives. Sarah encourages her clients to take an active role in their fitness journey, all while teaching strategies to overcome the mental and physical hurdles that will inevitably arise along the way. She believes that living a wholehearted life is the key to having a lasting physical transformation. Sarah made her debut into the fitness industry in 2002, getting her start as a Group Fitness Instructor (yep, she taught step aerobics!) while attending Western Illinois University and earning her Bachelors Degree in Psychology. Also a collegiate athlete, Sarah played basketball for Sauk Valley College prior to transferring to WIU. Following the completion of her degree Sarah worked for a commercial gym in addition to working with high school and college athletes in a variety of sports. 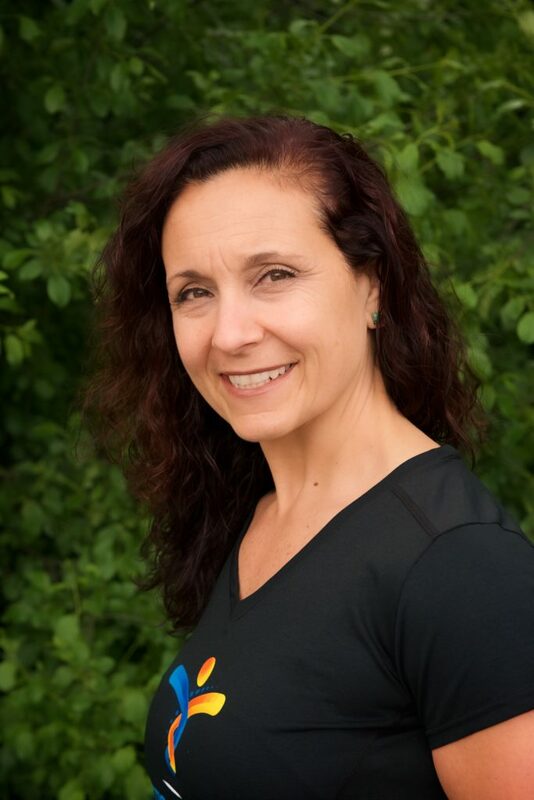 She is certified as a Strength and Conditioning Specialist with the National Strength and Conditioning Association in addition to being a Certified Nutrition Coach with Precision Nutrition. Through experiencing her own weight loss journey and mindset transformation Sarah feels a true connection to those who may be struggling with reaching their goals. These experiences have also lead her to successfully coaching clients who feel like they have tried it all with no success. Whether that goal is to move or feel better, to look better or to achieve specific performance goals, Sarah takes great pride in creating customized programming which brings out the best in her clients, allows them to restore their natural movement patterns, and maximize their effectiveness in the gym. Aside from training, nutrition and mindfulness, some of her favorite things include her rescue dogs Dahlia and Berkley, laughing until her belly hurts, attempting to keep her plants alive, reading, music (she can play trumpet, no joke! ), and spending time exploring the world with her main squeeze, Dr. Tyler Reynolds. Co-founder of Functional Effect Fitness Tyler Reynolds has always had a strong desire to help others achieve optimal health. His father a pharmacist, Tyler witnessed firsthand the volume of medication being prescribed for conditions which he knew could be positively impacted by living a healthier lifestyle. He wanted to be part of the movement to help educate people how avoid that path and so Tyler decided to pursue a career as a Chiropractor after earning his degree in Exercise Sport Science and Nutrition from the University of Wisconsin – La Crosse. 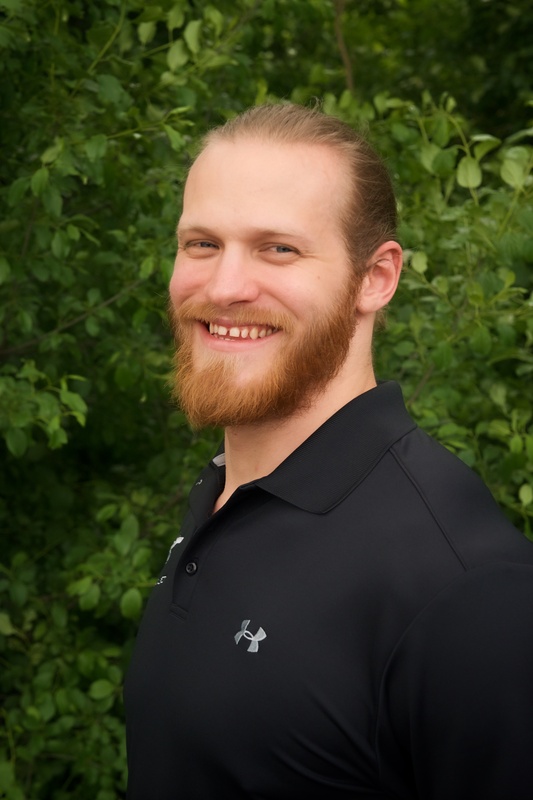 In addition to attaining his Doctorate of Chiropractic from National University of Health and Sciences, Tyler has completed over 250+ hours of post-graduate studies in Functional Rehabilitation with a specialty in shoulder dysfunction as well as being certified in the Selective Functional Movement Assessment. Dr. Reynolds is a highly sought after practitioner and coach of throwing athletes. Working with youth to collegiate athletes, Dr. Reynolds brings a holistic approach to his treatment and training. Becoming a Chiropractor gave Tyler the opportunity to blend together medicine with fitness to create an environment where his patients can achieve better overall health while attaining their fitness goals. 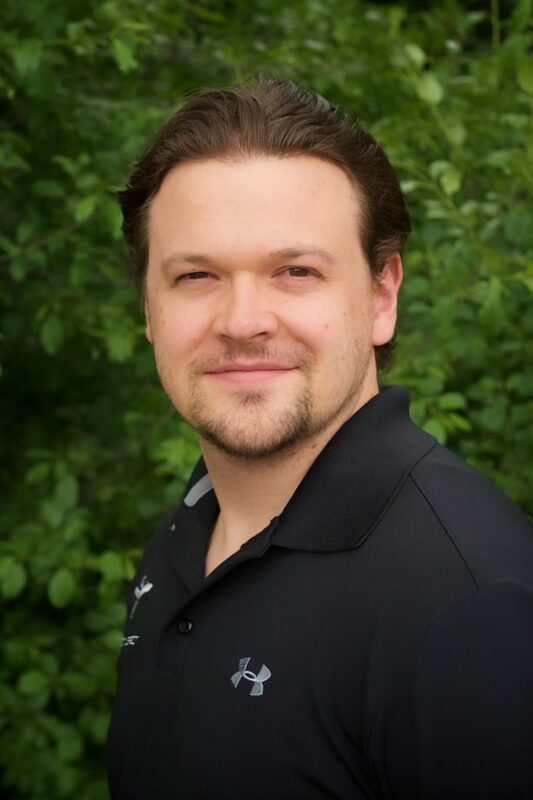 Along with custom tailoring treatment plans for his patients, he integrates a multitude of disciplines; chiropractic, oriental medicine, corrective exercise, sports nutrition, and strength and conditioning, and is constantly learning new techniques to enhance his patient’s experience.Dr. Reynolds’ philosophy is “Movement is Medicine”, once an individual stops moving, fluids stop moving, stagnate fluids equates to dysfunction. Movement is Life! Fitness Coach Andrew Kouba wants to help his clients be able to live healthier, more active lifestyles. He believes there is no greater reward than to help a client take control of their life, reach their goal, and then go beyond it. To help guide a client to do what they thought impossible and improve their life, that is why Andrew became a Fitness Professional. Diagnosed with Asthma at a young age, Andrew has always tried to push past limitations expected for his physical ability. He uses this ambition to help empower his clients on their fitness journey. Andrew’s passion for his clients’ success shows in carefully creating programs and educating clients about all aspects of fitness. Jodie joined the FE team after being a client and making a decision to change her life. Having struggled with her weight for years, she joined Functional Effect and Weight Watchers, determined to make a change before her 50th birthday. After losing 75 lbs she gained a new perspective on fitness and nutrition, and decided to change her career to help others with similar struggles. She earned her BA from Illinois State University in Psychology and MA from Lewis University in Leadership. Being an administrator of a law school for 30 years she personally understands the detriments of a sedentary lifestyle. After leaving her job at the law school, she went back to school and earned her Group Fitness Certification through NASM. She now instructs our group fitness classes 3 days a week and also leads several local Weight Watcher meetings. Her energetic personality, coupled with her passion to effect change, make her an excellent addition to our team. Jodie spends most of her free-time either rescuing dogs or playing with her three fury children; Garth, Spike and Sam. She comes from a large Italian family, and married her husband Joe, who comes from a large Irish family. She now feels blessed to call Functional Effect members and staff her extended family! 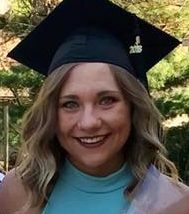 Lauren earned her Bachelor Degree in Exercise Science with an emphasis on Sports Performance from Aurora University in 2018. Currently, she is in the process of preparing for her Certified Strength and Conditioning Specialist Certification through the National Strength and Conditioning Association. She was a multi-sport athlete for a long time, but committed to playing Volleyball at both the High School and Collegiate level. Along with playing volleyball, she also coached volleyball for three years for Club Fusion Volleyball and Sports Performance Volleyball. At a young age, Lauren was diagnosed with Mercury Poisoning. Because of this, she was very weak and had to attend physical therapy and wore leg braces for about 3 almost 4 years to develop adequate strength throughout her whole body (now she jokes about it referring to herself as the “modern day Forest Gump”). With overcoming this hurdle, and being able to start playing sports and work out, she became very passionate about the fitness industry. Lauren hopes to help others along their fitness journey and jump over any hurdle in their way. Starting in high school Ashley fell prey to the diet culture that exists in our society. She spent many years “yo-yo” dieting and believing that her worthiness was based on her size and appearance. However, once she began educating herself on health, wellness, and happiness she realized that her mindset had to change. She hopes to educate other people so that they too can pursue a road to a happier and healthier life, whatever that may look like to them. Ashley’s love of training stemmed from an active lifestyle that involved multiple sports, outdoor activities, and an early introduction to the weight room. Having played varsity softball and tennis in high school, she continued on to play softball at North Central College. This is where she found the field of strength and conditioning and realized she could make an impact coaching. While at NCC Ashley earned her B.S. in Exercise Science and a minor in wellness. She also completed an internship at Acceleration in Naperville became a Certified Strength and Conditioning Specialist through the National Strength and Conditioning Association. She then expanded her knowledge of health and wellness by becoming a certified massage therapist through the Massage Therapy program at Moraine Valley. Ashley works with athletes of all different backgrounds including softball, golf, volleyball, lacrosse, and general population. She has been an Assistant Varsity softball coach at Marist high school for 7 years, where the program has gone to state 3 times and won 2 state titles. She is constantly growing and expanding her understanding of psychology, exercise, nutrition, and recovery methods in order to set each person up to succeed at reaching their goals. She prides herself in her ability to communicate and coach people. 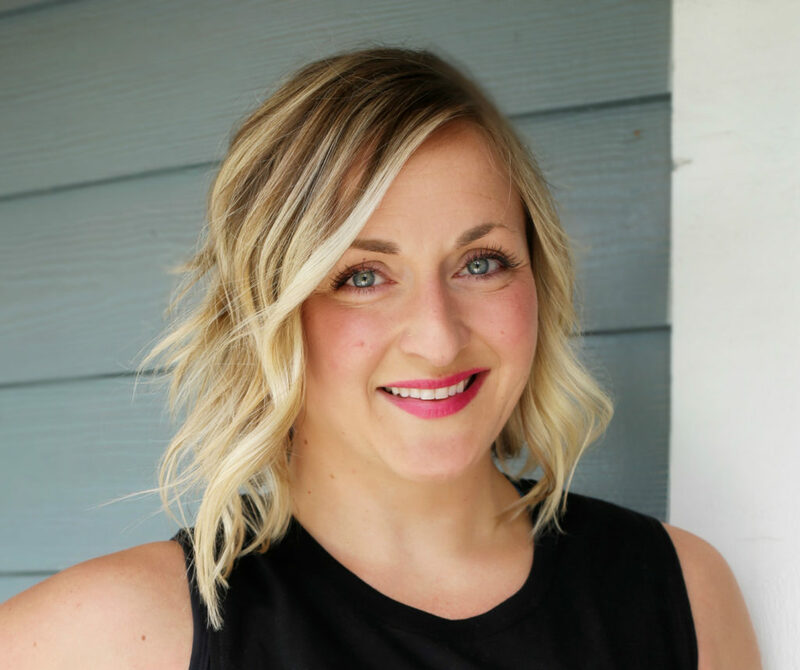 Ashley’s experience and educational background help her to develop and implement programs that improve the overall health and strength of each person.